Cycle safety tech is a contentious topic. Many innovations that at first seem like a step in the right direction for road safety meet with a backlash of criticism, usually centred on the premise that cyclists who accept full responsibility for their safety on the road absolve motorists from any accountability. The political wrangling around creating a safer environment for cyclists and pedestrians on our roads is a hugely important one, both for human health and for the health of the planet. A nationwide infrastructure that encourages people to leave the car at home and either walk, run or cycle to their destination and gives them designated space on the road to do so safely is the ultimate dream. 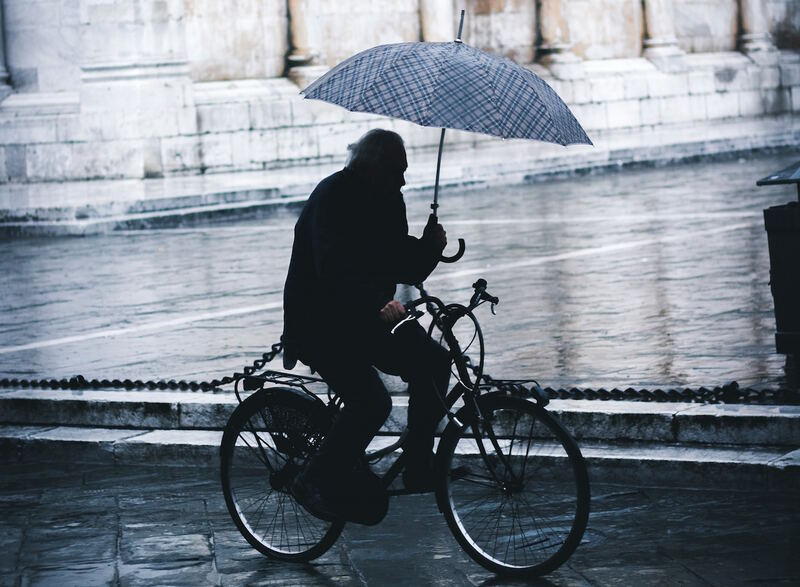 However, if out of choice or necessity you are regularly out cycling on the road at the moment, your primary concern will always be your safe arrival at your destination, with the wider ideological concerns coming second by quite a long way! With this in mind, we have created a list of the coolest cycle safety tech available right now, to help you cut a dash and stay safe when you’re out on your bike. 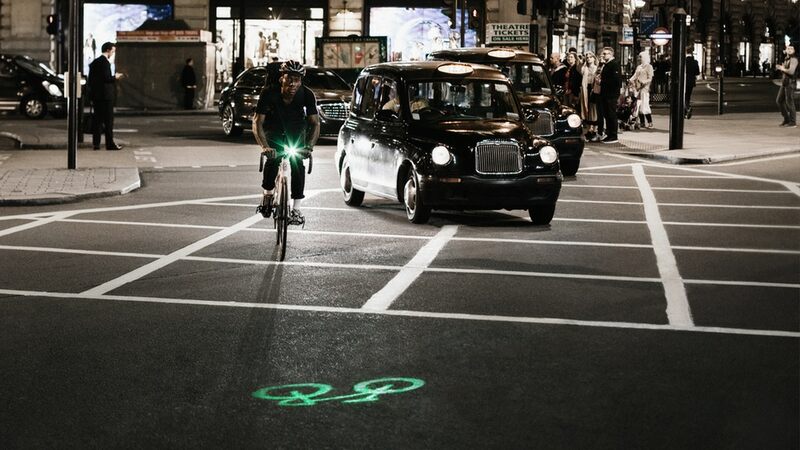 Motivated by a love of urban life and of cycling, the team at Beryl developed the Laserlight Blaze in 2012 and then took the idea to Kickstarter to get the idea into production. Using the insights they gained from this first product, they re-engineered the light and returned to Kickstarter at the end of 2018 to raise the funds to launch the Laserlight Core. This innovative bike light combines a 400 lumen white light (with a Day-Flash mode to enhance your day time visibility) with a laser image of a green bicycle. This tackles the issue of driver blind spots by projecting the image on to the road 6m in front of your bike, helping drivers to detect your presence at junctions, even if you have been forced to stop in their blind spot. 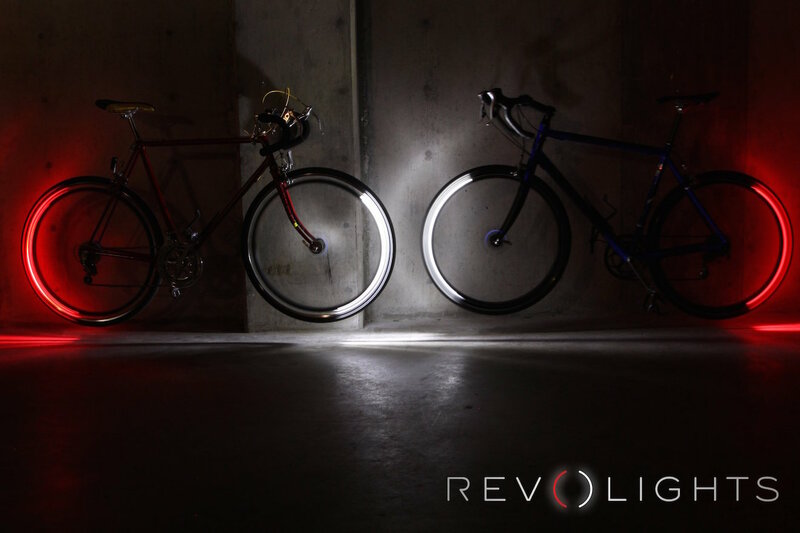 Another product successfully launched on Kickstarter, Revolights are, in our opinion, one of the coolest ways to stay safe and seen on your bike. Created in California, these wheel-based LEDs are an all-in-one legal headlight, smart brake light and turn signalling, offering complete 360° visibility for the bike. You can link your Revolights up with the Revolights app to track your ride, record your achievements and keep on top of your battery status in real time, so you are never left in the dark. There aren’t many cycle accessories that can make you feel like the star of your own music video whilst simultaneously helping to keep you safe by illuminating your forward path and increasing your visibility to other road users. At this time of year, when the days are getting longer but it’s still dark before a lot of us have managed to escape the office and return to the comfort of home, it is important to have a bit of kit that works hard to keep you visible before and after dark. 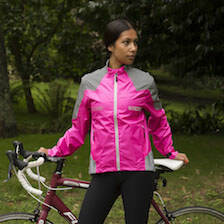 The Nightrider LED Cycling Jacket is made from breathable, waterproof polyester in high viz neon yellow which will maximise your visibility to motorists during the day. At night, the white LEDs on the forearms and the red LEDs on the lower back, combined with multiple bits of reflective detailing will help you stand out in the dark. The LEDs are machine washable and powered by a small USB rechargeable battery pack that is housed in a tailored inside pocket. You can choose to have the LEDs on flash, fast flash or constant mode and the settings are altered from the outside, so there is no need to fish around inside the jacket to change them. Part of the Safety Pack on the paid version of Stava (previously known as Strava Premium and now rebranded as Strava Summit), the Beacon feature allows you to share your location in real time with nominated contacts. The best thing about it is that they do not have to be Strava users, which means your mum can track you without having to download an app she won’t use for anything else. Beacon works through your smartphone, so even if you use a cycle computer or other GPS tracking device, you will need to have Strava open on your phone during the ride or the Beacon won’t work. Once you have nominated a contact or contacts for your activity, you can turn Beacon on and the app will prompt you to send a text with a link to your activity. Progress is updated every thirty seconds or so and, although there is no designated ‘SOS’ button for you to hit if you run into difficulties, it would not be hard to send a quick text to one of your contacts. They could then check the map to see exactly where you are and come to help you. 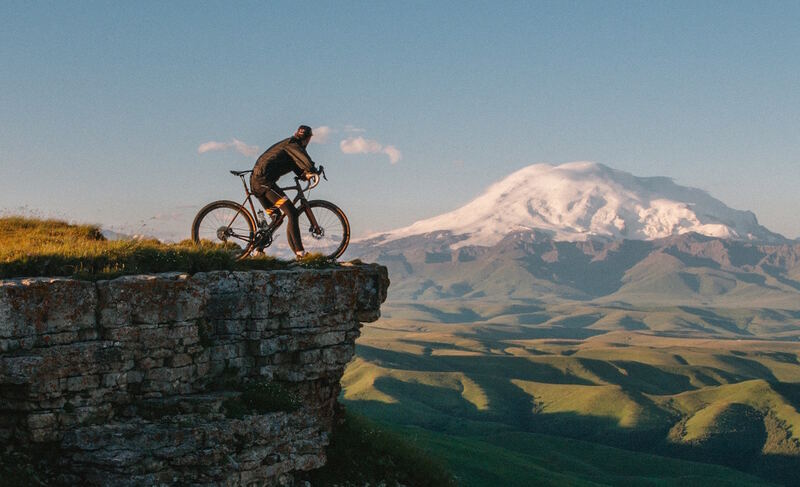 Beacon does require 3G, 4G or GPRS to work, so if you are going to be riding frequently in very out of the way places it is probably worth looking for a more robust alternative. However, for all but the most adventurous rides, Beacon provides peace of mind for worried loved ones and allows you to focus on your ride and your surroundings, rather than having to send constant updates to those at home. Advertised to be up to eight times more effective than a traditional helmet, the Hövding cyclist’s airbag uses sensors and a unique algorithm to detect the cyclist’s pattern of movement and to react quickly when it senses a significant deviation from the norm, inflating in a tenth of a second in the event of an accident. The specialised airbag inflates to cover your head and stabilise your neck, offering optimum protection to these delicate areas. 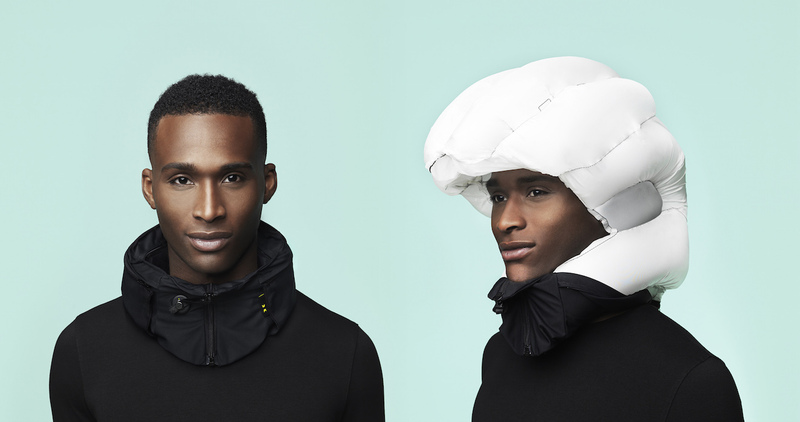 Available in three sizes (Small, Medium and Large) the Hövding cyclist’s airbag packs down to look like an unobtrusive snood. It is supplied with a basic black cover but it is possible to buy spare ones that come in a range of different designs, some of which are high viz or reflective, which adds to the functionality of the product. 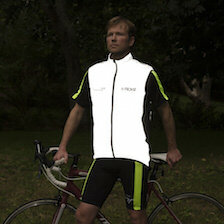 Powered by a rechargeable battery the Hövding cyclist's airbag will last 5-7 years if looked after correctly. The current version of the product, 2.0, retails at £249, so it isn’t cheap, but if it saves your life in an accident it will be the best £249 you have ever spent. If it lasts the full 7 years then it works out at less than £36 a year, which seems very reasonable! New for 2019, the Cycle Safety Technologies app for iPhone and Android can be downloaded by drivers and cyclists alike. It aims to help identify the presence of other road users, which is especially useful for blind spots and busy junctions. It is an inexpensive way to improve your road safety, as the first three months of use are free and it is only 79p a month thereafter. However, there are two major downsides. One is that in itself, it creates a screen-based distraction from what is actually going on the other side of the windscreen/handlebars. The other disadvantage is that it only alerts you to the presence of other drivers and cyclists who have downloaded the app. One must assume that drivers who are aware and concerned enough about the presence of cyclists on the roads to download this app are probably not the ones who are most likely to cause nasty accidents. Despite these concerns, we have included this app on the list because if it starts to enjoy a good up-take it has the potential to facilitate valuable communication between road users and help to prevent accidents. Gone are the days when you had to endure the shame of wearing a helmet that looked like a foam mushroom encased in a plastic shell. 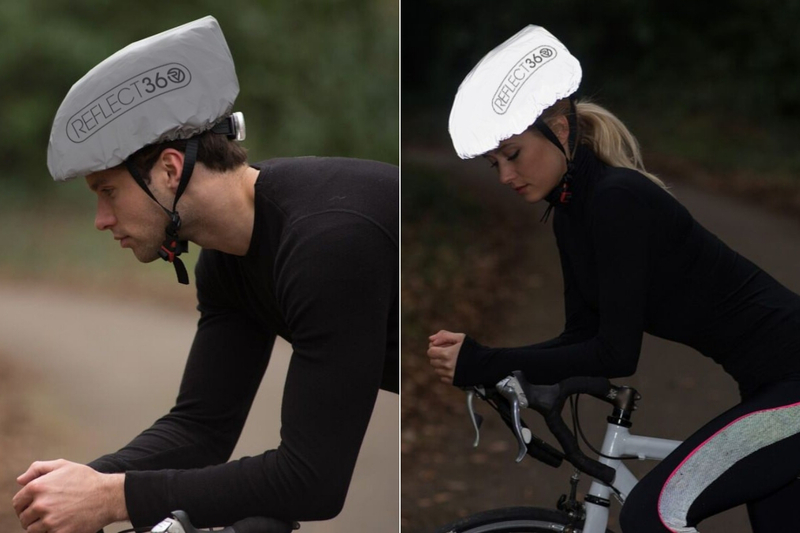 These days cycle helmets are more aerodynamic, breathable, comfortable and ‘cool’ than they used to be in the days when I took my cycling proficiency test! There are hundreds of different makes and a variety of different styles available and, if you have been through the arduous task of finding one that ticks all the boxes in terms of safety, fits your head and is perfect for purpose you probably want to keep it for the recommended five years before you consider replacing it. However, if your chosen style is a dark colour with little or no reflective detailing, then it is not working hard enough to keep you safe on the road. This is where the REFLECT360 Waterproof Helmet Cover comes in. 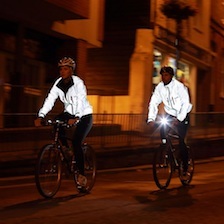 It is lightweight, breathable and it fits over any standard size cycle helmet, giving you 360-degree reflectivity and making you shine brightly in vehicle headlights to improve your chances of being seen. Probably the least ‘cool’ sounding item on our list, but in our book being forewarned is being forearmed. Nothing is less cool than arriving at your destination looking like a drowned rat because you didn't wear your waterproofs or sweating in your thermals on an unseasonably hot day. Worse still, you could get stranded on a mountain bike track by seriously hazardous weather conditions that you were not expecting. There are a lot of weather apps out there but the BBC one gets its data from the Met Office and is usually pretty reliable, providing you aren’t looking too far ahead. It is unreasonable to expect it to get the weather a fortnight hence absolutely bang on, so make sure you check again nearer the time of your ride, to void getting caught out. 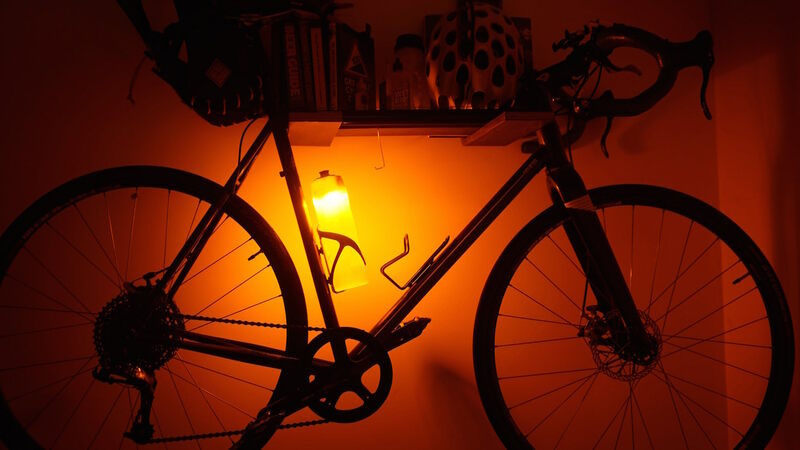 Kickstarter has featured heavily in our rundown and the Orb Bike Light Bottle is another one of its success stories. Designed in London by Andrew Phillips, it combines a 72 lumen light with a 600ml capacity water bottle. The light aspect of the product is powered by a USB rechargeable battery and has five different settings: full power constant, half power constant, pulse, and two separate flash modes. The bottle fits neatly into a standard holder on the bike frame and its position allows drivers to gauge more accurately the cyclist’s speed and direction of travel. 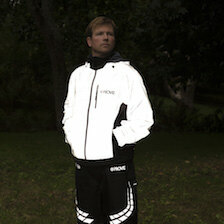 We love it because it looks like a stumpy glow-worm and, at £39.99, it doesn’t break the bank. Also, its 2-in-1 functionality means one less thing to remember to pick up before going out on the bike. 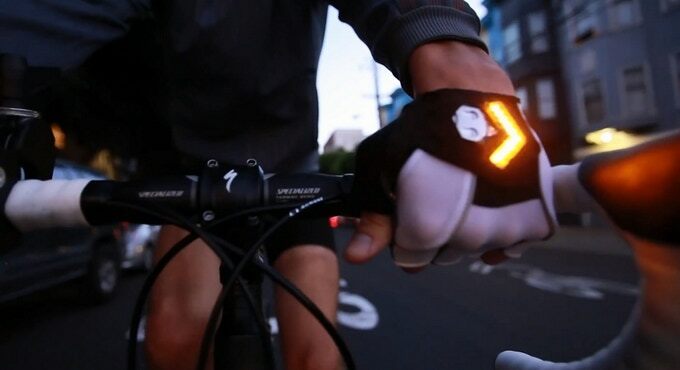 Yet another Kickstarter project, these award-winning USB rechargeable cycling gloves are the first to incorporate built-in LED turn signals. Featuring 54 lumen LEDs they include ambient light sensors, which increase the brightness during the day to improve visibility and dim it at night to extend the battery life. Designed in California by a former Google engineer, these gloves are comfortable and easy to use; all you have to do to activate the turn signal is press your thumb and index finger together. They come with a year’s warranty and are even machine washable. At the time of writing we could not find a UK stockist, but they can be shipped internationally from America. 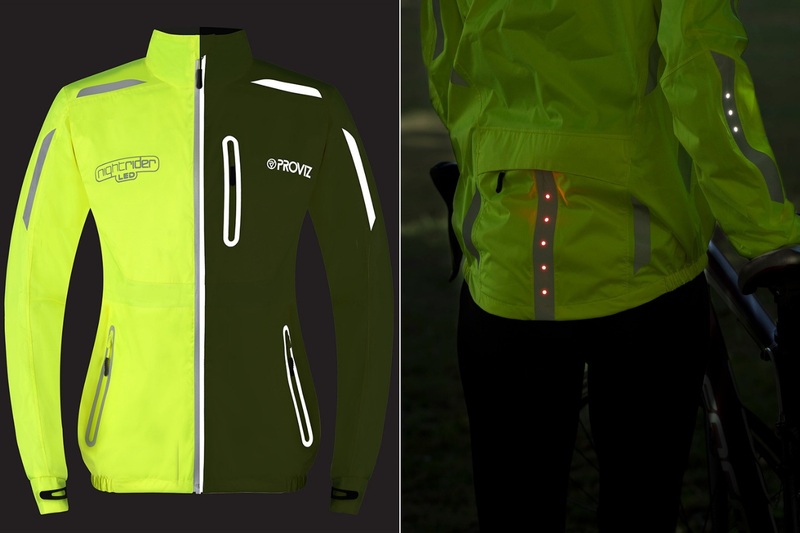 With the world’s roads getting busier every day, it is reassuring that so many innovators are working hard to create products that not only help to keep cyclists safe on their travels but also look pretty cool too. When necessity requires that you stand out like a sore thumb for your own safety, it is good to know that you can now do it in style.